Gardeau became the home of Mary Jemison or Dehgewanus when she fled with her family from Little Beardstown during the American invasion of 1779. Later the lands were set aside in the Big Tree Treaty of 1797 for her use. The Gardeau was eventually sold to the white land speculators and became part of the local townships. Interest in the history and location of Gardeau continued, however. The map found below was made by John Minard for the Brooks family in 1897. 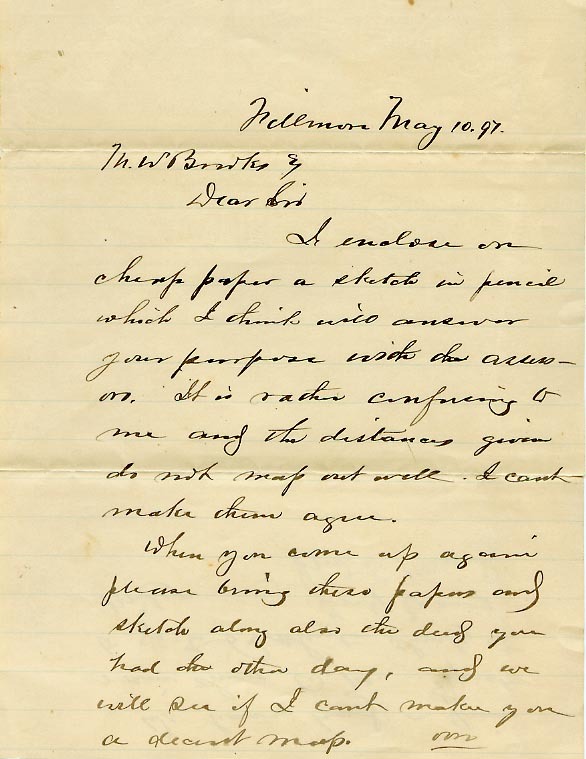 We have also included the letter which accompanied the map. 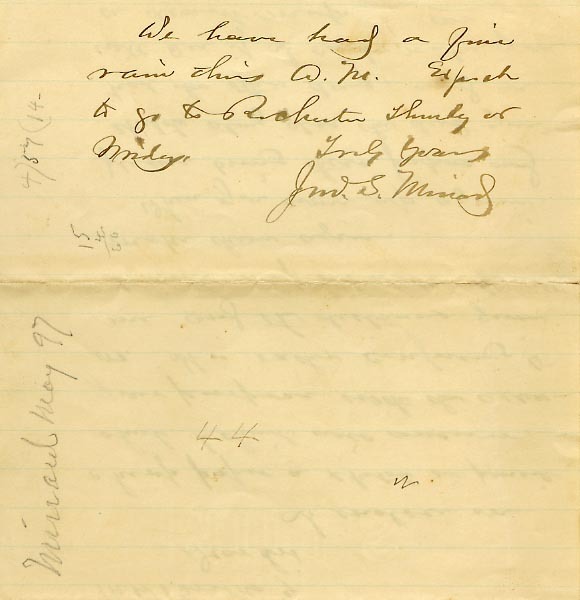 The map and letter were part of some documents purchased at a Brooks family auction several years ago. 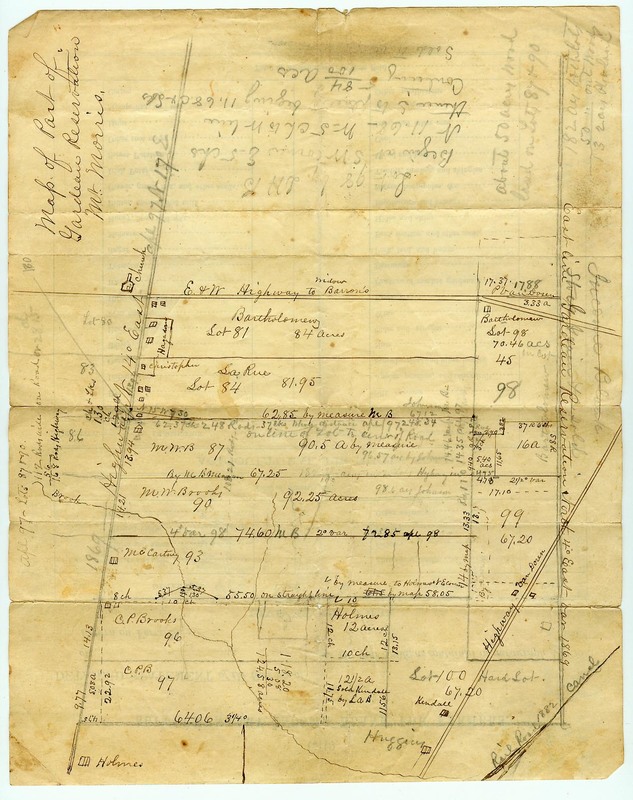 Also see the Gardeau Survey map, and Joseph Ellicott's description of the Gardeau Reservation. A later photograph of the Gardeau area is also found in our Historic Photo Album.